Total Tree Service Omaha provides the best service at the most affordable prices in the Omaha Metropolitan area. 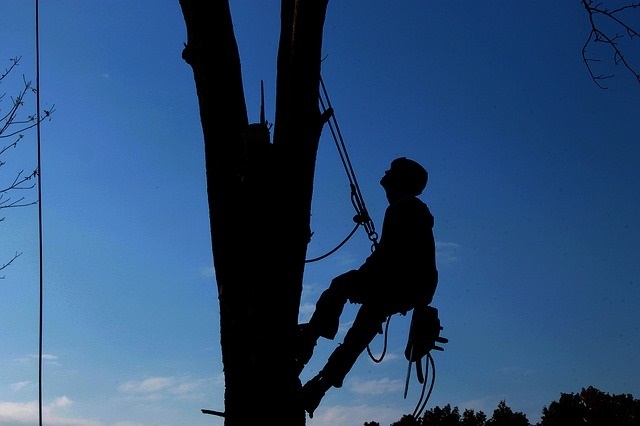 ​If you are looking for a tree company who is prepared, punctual, and professional you are in the right place. We are a group of "tree guys" who have grown up in the great outdoors hunting, fishing, and obviously...working. We feel privileged to serve the Omaha, NE area and are proud that our general tree services are a part what keeps Omaha beautiful. 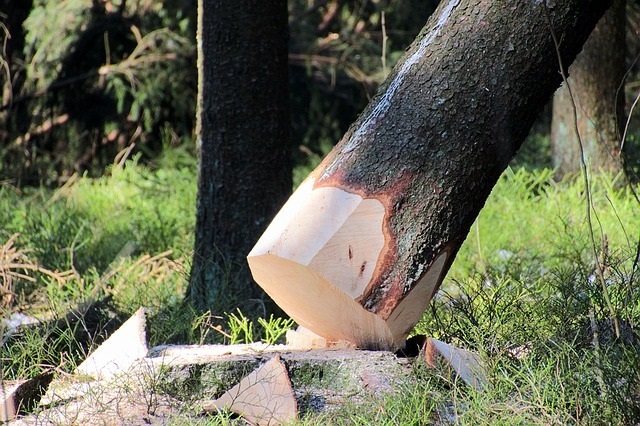 ​Our process for tree removal services in Omaha, NE typically consist of a free estimate (form to the right) by one of our employees, who will explain the job size, estimated time the job will take, and the associated costs. If you feel we are a good fit, we begin removing trees by first making sure the area is completely safe and that all safety regulations are followed. Then we begin dismantling the tree limb by limb, until the trees are removed and left as a stump. This brings us to the next service provided, which is stump grinding. Stump grinding is a more equipment based service. We utilize a machine that grinds the stump and turns it into mulch, which is then utilized to back-fill the hole where the tree once stood. Everyone remembers mowing the lawn and having to remember where the tree stumps were located as to not break a lawn mower blade, or catch your big toe while walking the lawn. Those reasons along with others are why stump grinding has become a more popular service here in Omaha. Last but not least, we clean up! What good is getting a tree removed if the process is going to ruin your driveway, yard, or sidewalks right? We take our clean up process very seriously because removing trees can get a bit messy, and we never want the home owner to feel they have to clean up our mess. We also utilize low impact techniques to reduce the wear and tear on our clients lawn. Sometimes owners would like to have their tree turned into mulch that they can use around the property. If that is the case, just let us know and we can provide that service. During the summer, deciduous trees are full with leaves. Anyone with really large trees in their yard will understand the frustration of trying to keep a healthy looking lawn, only to fail because of a lack of sunlight getting to the grass. If that's you, we are happy to inform you that we provide maintenance care on trees, as well as tree grooming, tree pruning, and even tree trimming. Sometimes it is as simple as doing some tree thinning, in which we take specific branches out of the tree to leave it looking full but allowing more sunlight to reach the ground. Many customers utilize this process for very large, older trees that they want to keep because of their beauty. It can also be an option for any trees that cover flower, or vegetable gardens. Outdoor situation are sometimes out of our control. Mother nature can be fierce and when storms arise throughout the year it can have a detrimental effect on our homes and other property. Unfortunately trees fall wherever they want, and sometimes it happens to be on a house, or a car, or other property. If something like this happens please rest assured that we can handle the situation. Call us in case of emergency and we will get the tree removed as soon as possible, and are willing to work with your insurance company to make sure the process runs smoothly. Omaha is a city that experiences all four seasons. Caring for trees and cleaning up after trees becomes a year round process because they bud in the spring, drop seeds in the summer, and shed their leaves in the fall and throughout the winter. Our general tree services can cover anything that may arise throughout the year. There are many threats happening to the health of trees here in the state of Nebraska. Lightning can cause tree damage by splitting trees, burning them, breaking branches, and it can cause tree scarring. Also things like the emerald ash borer, other bugs, diseases and parasites can wreak havoc on a tree. If you are worried that your tree is damaged we would love to provide our total tree care. We can perform tree surgery, and act as a tree doctor in cases of infestation, or disease. Have pesky vines, saplings, or shrubs taking over a fence line? Let us help by providing brush removal services and shrub trimming. Getting a tree removed is a big decision and you should feel comfortable with the tree removal service you are being provided. We strive to work professionally and address all your needs as a home owner, respect your property and hold ourselves accountable for our work. Removing a tree from your property is a difficult task, but with our guidance and service it can really be a breeze for the homeowner. Every step of the process will be explained before ever beginning a tree removal to ensure that you completely understand the process and are comfortable moving forward. So what's the big deal about Total Tree Service Omaha? We are a one stop shop for everything trees. 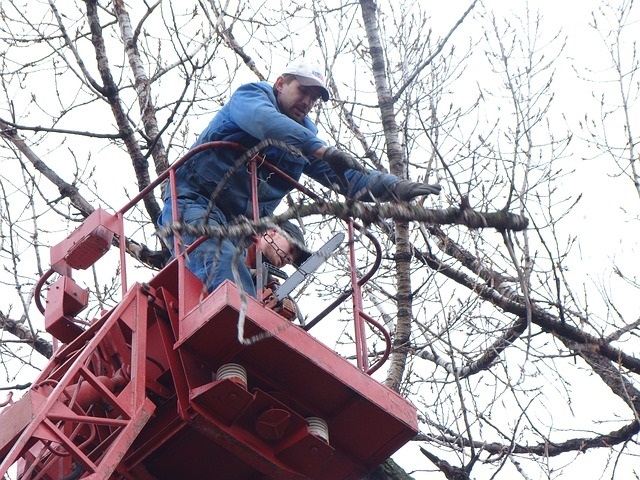 The services that we provide should cover anything necessary to keep a tree healthy and looking great, as well as services to remove trees, tree trimming, tree pruning, or caring for any tree damage. The total tree care that we provide comes out of our joy of working outdoors. We pride ourselves on our passion for working with nature and especially trees. We strive to make other peoples property look like a million bucks, just as we would our own. We are a family and promise to treat you like family too. We truly are tree guys, and we love what we do and it shows every time we do a job, and we look forward to helping you with our Omaha tree service. So stop searching because Omaha trees don't cut themselves!